Anytime is a good time for vacation! Competitors inside the travel industry vie for their share of a near-trillion dollar market and tailor their travel marketing strategies to the ever-changing needs of consumers. And the next time the travel bug bites, how are brands leveraging their travel marketing to make sure they’re turned to first? How are leading travel companies staying top of mind with consumers once consumer wanderlust wanes? To find out, we selected 30 leading companies inside the travel industry and studied every single message they sent over the course of three weeks. We analyzed how they’re engaging users across multiple channels: email, mobile push, and SMS. 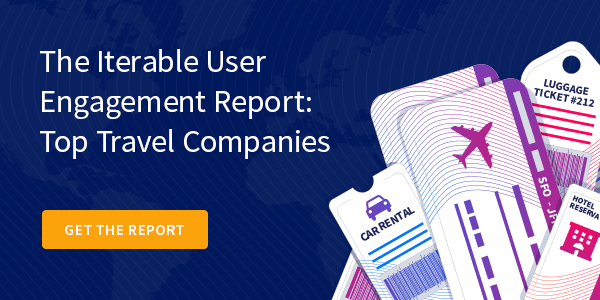 We’ve detailed all our findings inside The Iterable User Engagement Report: Top Travel Companies. 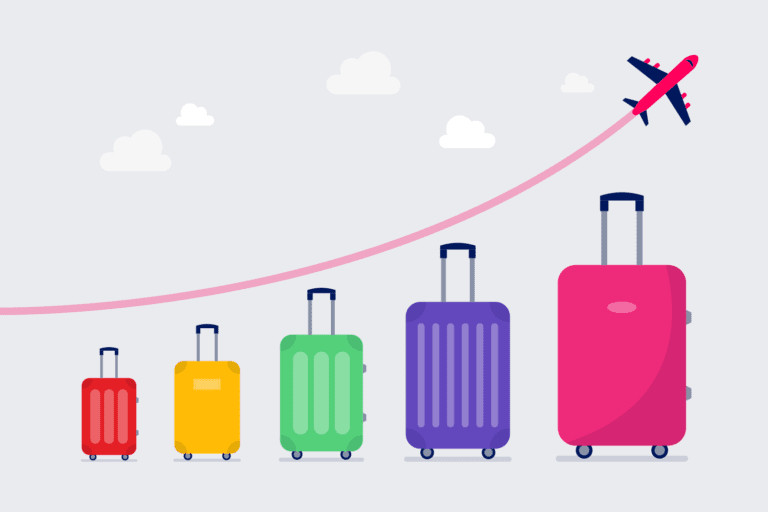 In this report, we present insights about the strategies, tactics, and cross-channel performance of campaigns frequently used by travel companies. Week 2 – Downloaded mobile apps, increased levels of cross-channel engagement, and abandoned carts with all 30 companies. Week 3 – Abandoned new cart sessions and weaned engagement. Inside the report, you’ll find a slew of observations and real-life message examples to draw inspiration from! What we found was that while some companies are executing sophisticated campaigns, others just cover the basics—and the rest? They range widely in between. Much improvement can be made across the board. Travel companies have a massive opportunity to streamline their customers’ conversion paths. Re-evaluating customer lifecycle engagement strategies, from activation to nurture through reactivation, will help travel companies drive increased interactions and bookings. Key enhancements concerning outreach goals and cross-channel tactics could likely result in significant short- and long-term revenue growth. All travel companies offer mobile apps, yet only 23% of them interact with new members. Mobile travel sales across the world are expected to comprise 25% of global online bookings in 2019. Travel companies lacking a strong mobile presence will be willfully opting out their share of the growing, quarter-trillion dollar mobile travel opportunity. The stakes are simply too high to continue ignoring. Personalization limitations detract value from regular outreach. 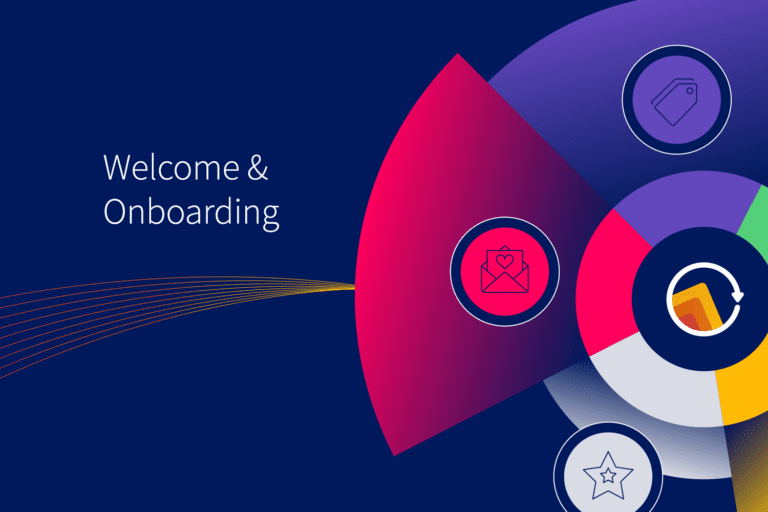 Travel companies flooded our inbox with promotional messaging over the course of our study, but few instances featured eye-catching personalization. OTAs excelled by emailing us about unique deals near recently browsed destinations. Most other companies were sending nationally-promoted offers which had little resonance to our desired travel interests. Leveraging customer data to craft more curated marketing experiences earn lasting loyalty. Download the report to learn how leading travel companies are marketing to their audiences. Book your trip to world-class engagement by taking our lessons-learned and applying them to your own outreach. 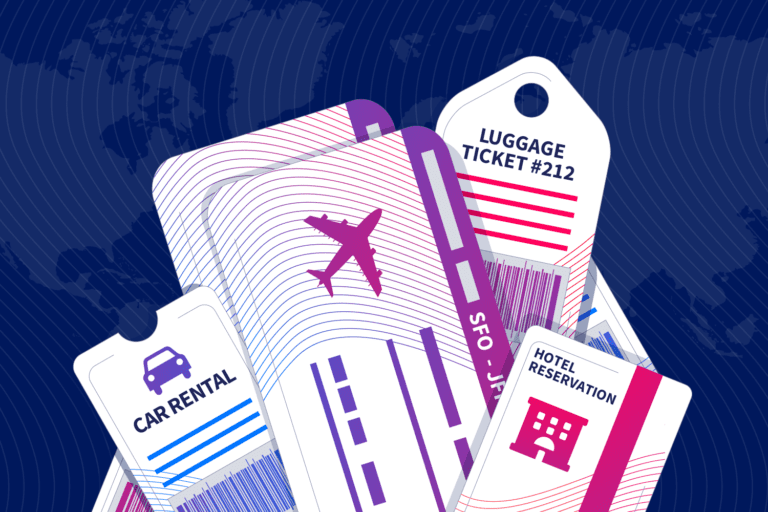 Learn how the travel industry engages customers across channels.